" (Student) likes the new tutor-big hit was that she is a student at UNC. " 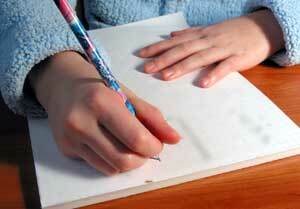 Many students, for various reasons, are petrified of the "Essay" sections of the ACT and SAT exams. Students often do not realize that they already have many of the skills necessary to address, expound and compellingly conclude their essays in their own styles, and in the allotted time, to receive high marks. We will show you how to best use the time allotted for the essay. Depending on your current strengths and skills, our sessions will often deal with outlining skills, grammatical reviews, punctuation assessment, and sentence construction. Prior to the test, we will provide many drills and sample ACT and SAT exam questions, where you can start putting into practice the skills you have learned. It is important to feel confident as you take the written sections. Whether you need a refresher in grammar usage or paragraph correction, or even an in depth critique of your essay skills from topic sentence to conclusion, our tutors can increase your scores. BrainTrust Tutors scored in the top 10 percentile of all ACT and SAT test takers, and they are ready to increase your confidence relative to best arguments, relationships between text passages, knowledge of genre and the ability to comparatively select the best response among multiple "correct" answers. We focus on the multiple choice questions during sessions, as the Essay is now optional and not used by many college Admissions Offices. We will make sure students spend most of the test prep time on these more predictable questions than on the essay itself. Contact BrainTrust today to discover how our unique approach to ACT and SAT Writing test preparation can help maximize your child's scores.